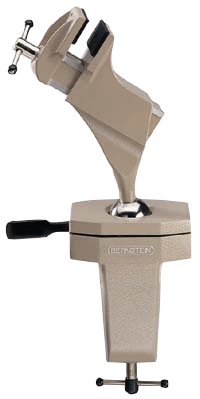 BERNSTEIN Service Sets and Service Cases are developed resp. collected together with specialists from the different branches in the electronic industry. Qualified special sets are available for nearly all tasks – Installation, Maintenance, Repair – in the Electronic Fields. 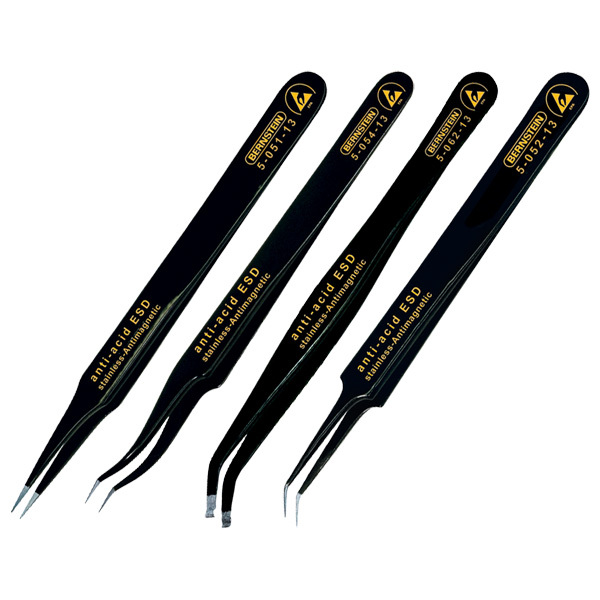 BERNSTEIN offers various tweezers: Watchmaker- / Engineers- / Component-Tweezers and SMD-Tweezers. with slim, ergonomically formed handles from black conductive plastic. The swivel top guarantees a precise working without exhaustion. Blade: chrome vanadium, hardened over its full length, chrome-plated, with black tip.